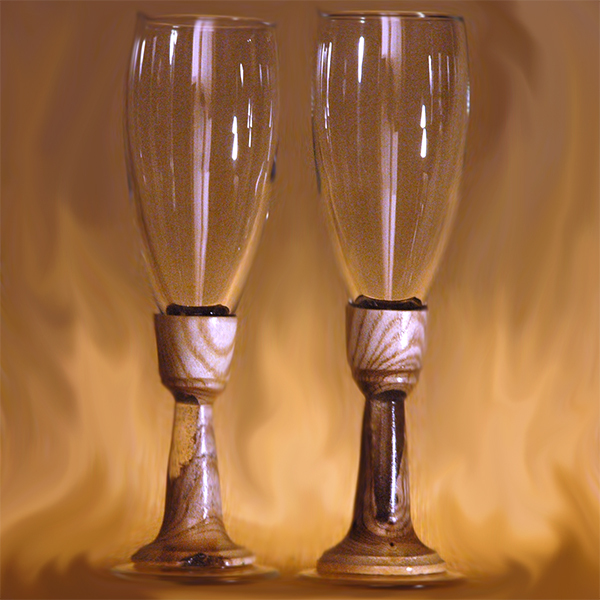 A gift set of handmade wineglasses. The classis design of the glass is combined with an original base, made of из natural light wood, glass and resin. A traditional gift both for newlyweds and for a long married couple. Perfectly suitable for a wooden wedding anniversary!